Help! I can’t find my file! Losing stuff is a common event in the human existence but now with the advent of computers, losing your electronic stuff has become a whole lot easier. Office interruptions and getting side tracked when searching the web are probably the top two time wasters in your day but looking for stuff on your computer is probably near the top as a time waster. Over the last few years I have cumulatively wasted a lot of hours looking for files that I absolutely knew were on my computer but was unable to find on the first look. Windows search certainly can help but if you can’t remember the file name or at least some part thereof, then you are going to burn some minutes looking for your stuff. There are no official standards for file naming in most organizations or for the world at large so most folks just come up with their own conventions. What sounds perfectly logical to you may sound really stupid to someone else and therefore does not propagate well across an organization. To make it easier to find your stuff, here are some suggestions from the NC Department of Cultural Resources and from getbuttonedup.com. They recommend that you adopt a systematic file-naming convention and use it consistently. Just like paper files, electronic files need to be well-organized and labeled correctly so that they are identifiable and accessible. You should pick a simple naming convention that you can use on every file you create, from spreadsheets to Word documents. You don’t have to be cute or culturally correct or mathematically precise. Just make it something you will know and understand and that other folks can, with some simple reasoning, know and understand as well. This should apply and should make sense even when taken “out of context”. for instance,it should make sense even when moved from the original folder or to a different computer or emailed to a client, Also, a record (IE: a file) should be distinguishable from those with similar subjects as well as different versions of the same file. When taken out of context, file names can be confusing. A suggested format is: “date created _file name.” You may prefer the date at the beginning of the file or at the end or you may have some other naming convention better suited to your unique situation but whatever convention you use, be logical and be consistent. Don’t use spaces in a file name because sometimes browsers don’t handle spaces well and spaces can cause broken links. Sometimes they are interpreted by certain programs as “move to the next line”. If you need to separate the words in the file name ( like when you want it to be easier to read and understand), use an underscore instead of a space. 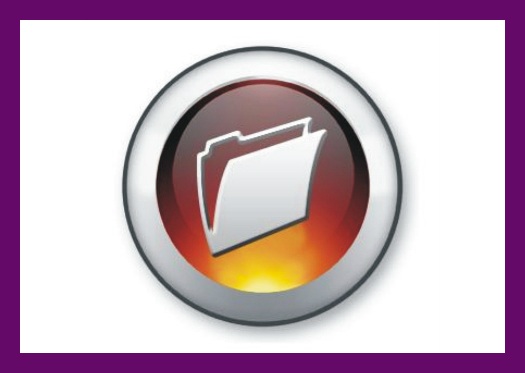 If you use different versions of the same file make sure you clearly identify the version as part of the file name. When you get your “system” in place, get rid of the deadwood on your hard drive or server. Schedule regular digital clean outs. Just like you schedule your time to clean the gutters or change the oil in your car, you need to set aside time to regularly clean out your files. Whether it’s five minutes on Friday afternoons or twenty minutes once a month, weed through and delete folders and files that are past their prime. If you haven’t opened it in a year, you probably don’t need it. Geez! Let’s see now, what was the name of that file? . . . Previous Post: Do you have energy vampires in your office?